Dramatic race against time to save's Nadia life! Let's stop her suffering! Help her, please! 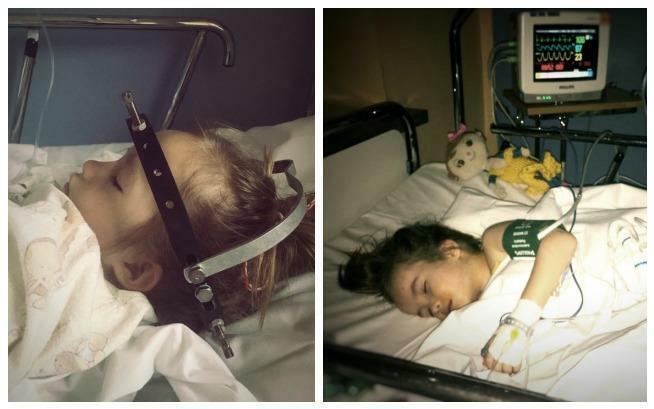 The situation is dramatic - nobody in Poland is able to help Nadia! She is suffering terribly, she is losing her breath ... The spine is so distorted that it crushes the internal organs! Nadia is just lying, unable to get up ... She needs a surgery. It is the only rescue that will save Nadia from such terrible torment ... Therefore, we ask for your help, because even the smallest amount of money is very important! We must make another miracle, save the most precious - our child's life ... We must also act quickly, otherwise there will be nobody to be saved! Nadia is slowly being killed by her spine. The implant that was supposed to hold it failed ... Scoliosis has won. It twisted not only the spine but also the implant! The deformed spine presses and crushes the organs. It takes their place. It causes terrible pain. It takes away the lust for life, leaves only heavy breathing, terrible tiredness ... It takes the joy, brings the pain. She was born so tiny, weighing only 1,800 grams. I clearly remember that day ... The doctor came and said he had both good and bad news. The good one was that Nadia was alive. The bad - they were not sure for how long. I couldn’t believe that. I didn’t want to. They suspected that Nadia had some genetic defects. She had some dysmorphic disorder, one half of her body was completely different from the other ... Left hand, left leg and even the cheek, and the ear - everything on the left side was smaller than on the right. Nobody knew what was wrong with Nadia ... Nobody. Searching for the answer was like walking in the dark... There were many tests, a lot of diagnoses were made. 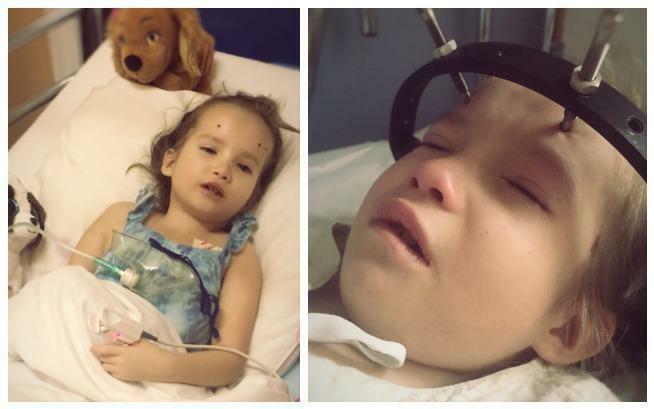 It turned out to be the Silver-Russell syndrome, an extremely rare anomalies syndrome... Sick children are short, they eat little food, they have problems with some organs ... There are a lot of anomalies, but not all of them always occur. Surprisingly, Nadia survived. However, I was being prepared for the worst, that my daughter would become completely disabled. They were wrong. After 2,5 years, a breakthrough came suddenly. Nadia, who was not supposed to say a word, suddenly started talking, not supposed to walk - she began to crawl. She grew up to be such a bold, brave girl with a positive attitude to life. ... I don’t know where this joy, this strength comes from. And everything would be fine, but for this spine ... Scoliosis began to progress, the spine was distorting with an alarming rate. Nadia didn’t grow, did not put on weight ... 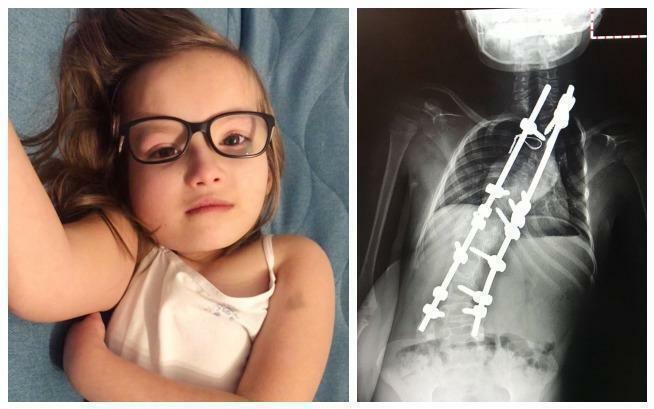 It was like a vicious circle - the doctors didn’t want to give her a growth hormone, because they were afraid of scoliosis, others didn’t want to treat scoliosis, because Nadia was too small! The twisting spine soon became a deadly threat to Nadia ... The doctors tried to rescue her. They were fighting bravely, but unfortunately - unsuccessfully. Nadia suffered a lot. ... First, lengthening the spine using a method called halogravity traction. The method which is used in the most severe cases. A special ring is put on child’s head for 3 weeks. It is attached to a special harness... This method is extremely painful. 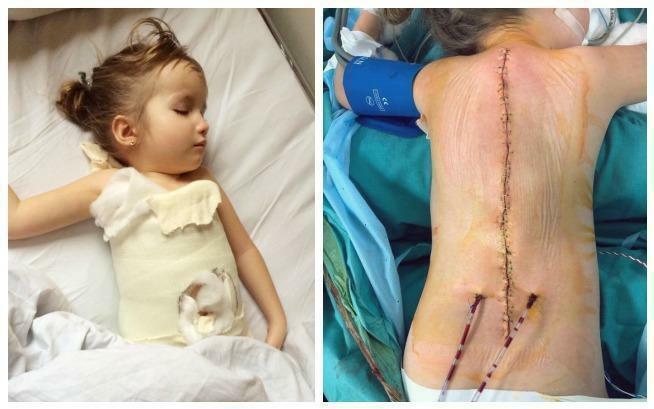 Then there were two scoliosis surgeries. There was going to be just one planned surgery, but one of the screws in the spine broke... Suffering was as extensive as a post-operative wound. Nadia's back was cut from her neck to the buttocks, and so far it has not healed ... Nadia was screaming with pain, and I was screaming with helplessness. As Siepomaga, we join Nadia's mother's request and we ask for your support! Life of a little girl shouldn’t be a pain or a race against time... In the case of Nadia, it is both. We have to save her... In the past we managed to win similar fights, now we have another fight ahead of us. We believe that this time we will also succeed ... because where else, if not together and not here...?